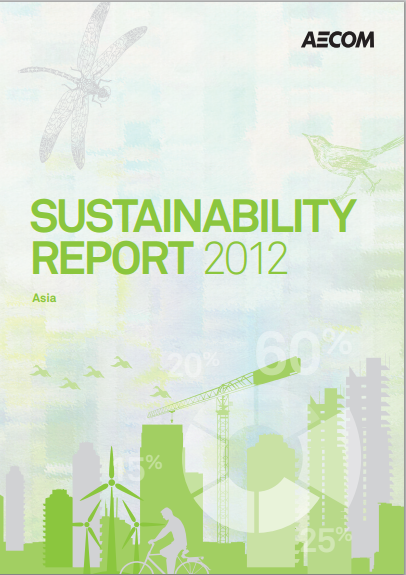 http://bit.ly/IsmJQR @AECOM publishes Asia-focused #report highlighting #successful #sustainability initiatives. The report, which covers greater China as well as the South and Southeast Asia regions, demonstrates AECOM’s success in integrating, communicating and considering sustainability as a robust management system and mindset that transcends the organization. The report also highlights how AECOM has reduced its carbon footprint, decreased its electricity, paper and water consumption in its offices, and has remained committed to engaging employees in sustainability efforts. At AECOM, sustainability is viewed as a comprehensive concept that involves helping clients and society address complex challenges in adapting to the ever-changing needs of nature and society by managing financial, natural, social and human capital. AECOM also recently released its second annual corporate sustainability report, titled, “Complex problems. Integrated solutions.” where the company charted its global sustainability achievements.